Architeuthis dux has mostly been seen dead or dying after washing up on shore, or when inadvertently caught up in commercial fishing nets. It has almost never been witnessed swimming freely, feeding, or otherwise going about its cephalopodic business in its natural environment. Consequently, far more is known about the behavior of a creature like, say, Kim Kardashian, than about the world’s largest [up to 45 feet long] invertebrate. The expedition focused on an area more than 500 miles south of Tokyo around the Ogasawara Islands, rightly believed to be a prime hangout for the squid; the sighting comes from the vicinity of Chichi-Jima, the largest island in the archipelago. (World War II buffs may recall the islands as the Bonins.) 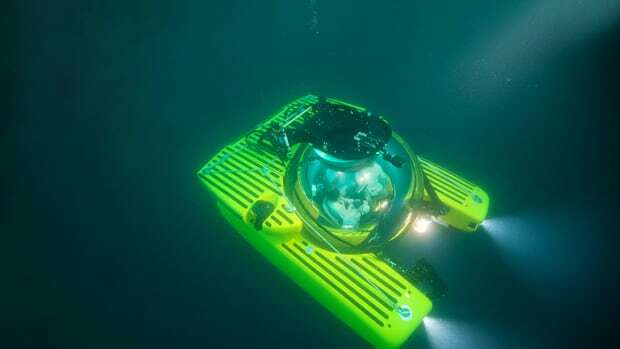 The team brought three submersibles with them, and those undersea craft made all the difference; Discovery says the mission saw more than 55 dives resulting in more than 285 hours searching and filming in the deep deep. "It was shining and so beautiful. I was so thrilled when I saw it first hand, but I was confident we would because we rigorously researched the areas we might find it, based on past data." Kubodera said the creature had its two longest arms missing, and estimated it would have been eight metres long if it had been whole. He gave no explanation for its missing arms. 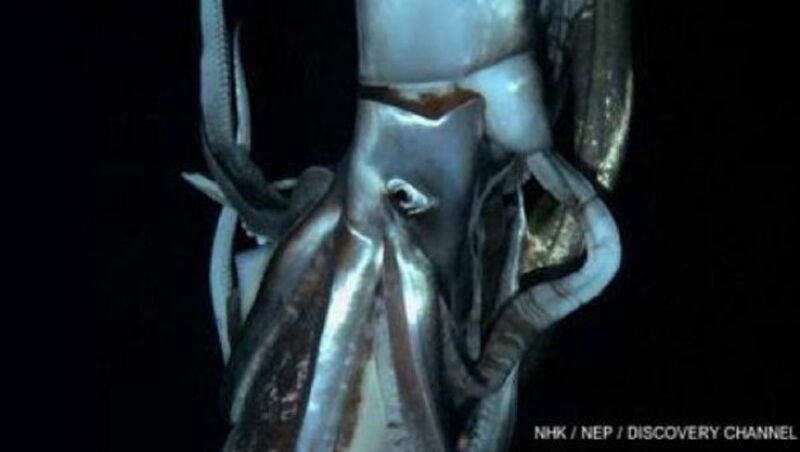 A team that includes Japanese scientists, the Discovery Channel, and a 185-foot private yacht is lurking 550 miles south of Tokyo in search of Architeuthis dux, the giant squid. We don't really know if the giant squid is endangered, but this animal still could inspire protection of the world's invertebrates.